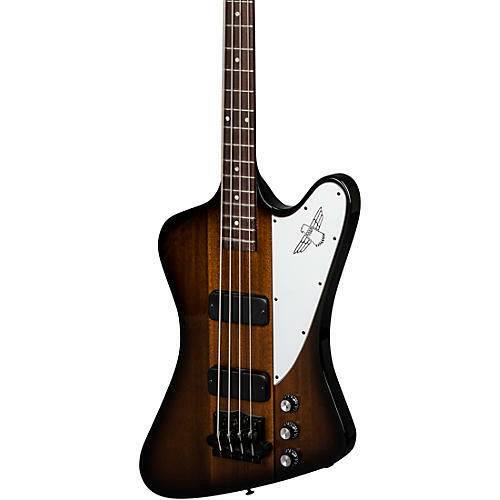 The Gibson Thunderbird Bass takes flight again in 2018, highlighted by a classic neck-through-body construction with the comfortable rounded neck profile. A full contact bridge and Gibson pickups deliver endless sustain while also giving the player tonal variety through the coil-tapping controls. Available as a 4-string or 5-string the 2018 Gibson Thunderbird is back by popular demand. Includes hardshell case.